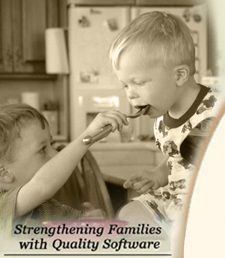 I recently purchased "Cook'n with Taste of Home" from you. I am absolutely amazed by this software. Not only is it a cookbook, but it's a recipe library, that I can expand upon endlessly. Never before have I seen such "we thought of everything" features in a recipe software program, yet is still incredibly easy to use. I have purchased recipe software before and found the learning process cumbersome, the features disappointing and the price exorbitant. You really did "think of everything." I'm glad I found your product - it's WONDERFUL!!!!!!! I'll be watching your site regularly for new products & offers. Thanks again for an outstanding product! 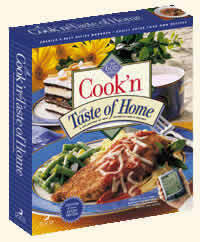 Below is a listing of all the Taste of Home recipes featured in the Cook'n with Taste of Home CD. Award-winning Taste of Home recipes from America's #1 Cooking Magazine. 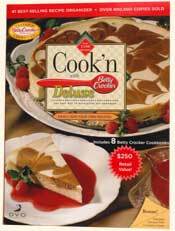 Includes PHOTOS of almost EVERY RECIPE!